One of the most inspirational places for me when it comes to my blog is the grocery store. If you write a food blog, do you find inspiration at the grocery store? Or maybe you will think that is funny that I find my inspiration for my blog in a place such as the grocery store. But I love walking through the bakery section looking at the breads, muffins… That is where I found my inspiration for my orange scones. I saw some muffins in the bakery that looked like they had a slice of orange baked into them. I had never thought of baking oranges into anything before. Yes, orange juice or orange zest, but never pieces of the actual orange. 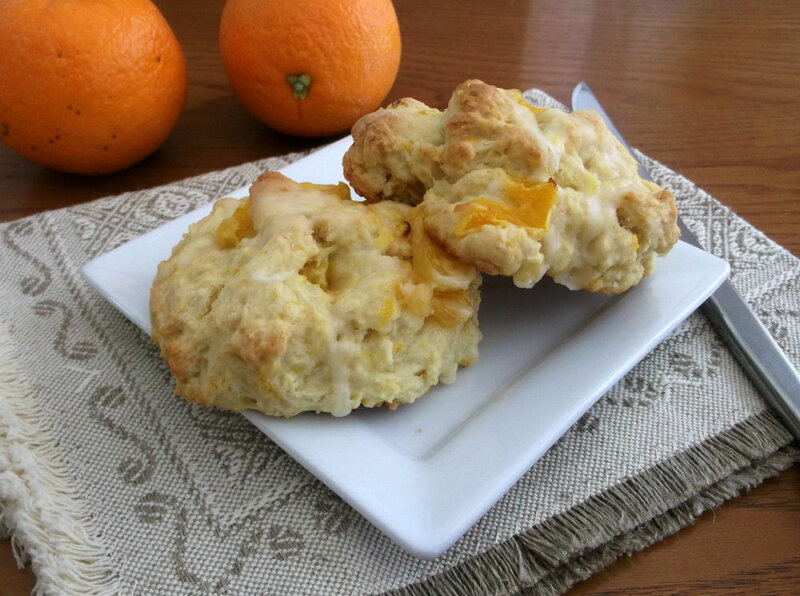 I wanted to make scones with oranges baked into them, after scouring the web, I found only a couple of recipes. The recipes recommended canned mandarin oranges, but I decided to use fresh navel oranges. I went with the fresh oranges and they worked out well. The scones turned out nice and soft with a nice touch of orange flavor. And the orange slices were chopped into small pieces that were a nice addition to the scones. I topped the scones with an orange glaze that also had finely chopped orange in it. So not only did my family get their sweet tooth taken care of they also got there vitamin C for the day. 1. In a large bowl, combine the flour, sugar, baking powder, orange peel, and salt. Cut in butter until mixture resembles coarse crumbs. In a bowl, whisk, milk, orange juice, and egg together. Add the wet ingredients to the dry ingredients just until moistened. Fold in the oranges. The dough will be somewhat sticky at this point. 2. Turn onto a floured surface; knead about times. Cut into 8 portion and form a ball place on a greased baking sheet and flatten slightly. 3. Bake at 400 degrees F for 15 to 20 minutes or until lightly browned. Combine powder sugar, chopped orange sections, and enough orange juice for a thin glaze. Once the scones are cooled drizzle with the glaze. 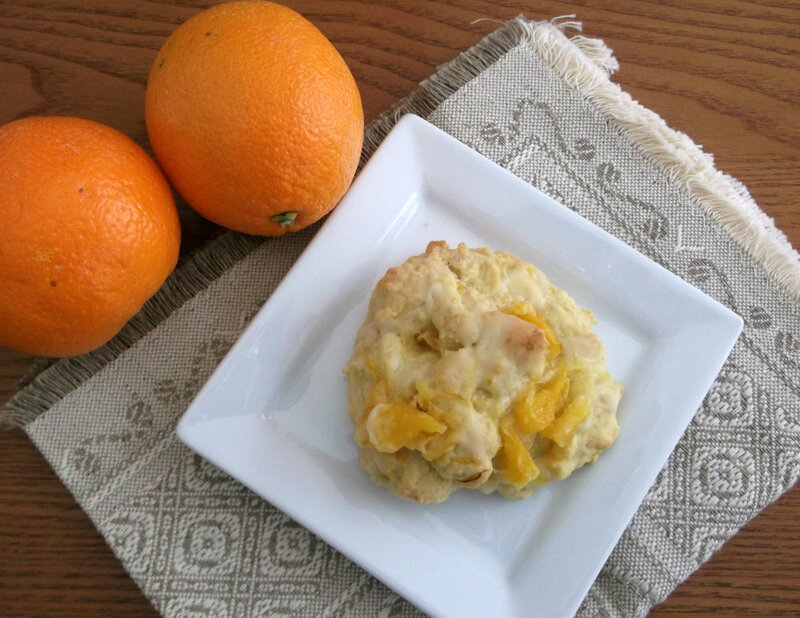 I adore scones, and I adore oranges—these look amazing! Delish. I love the versatility of Scones. Can’t wait to try these out. I love grocery shopping! It’s really the only kind of shopping I tolerate. And I’m always getting ideas while I roam the aisles. 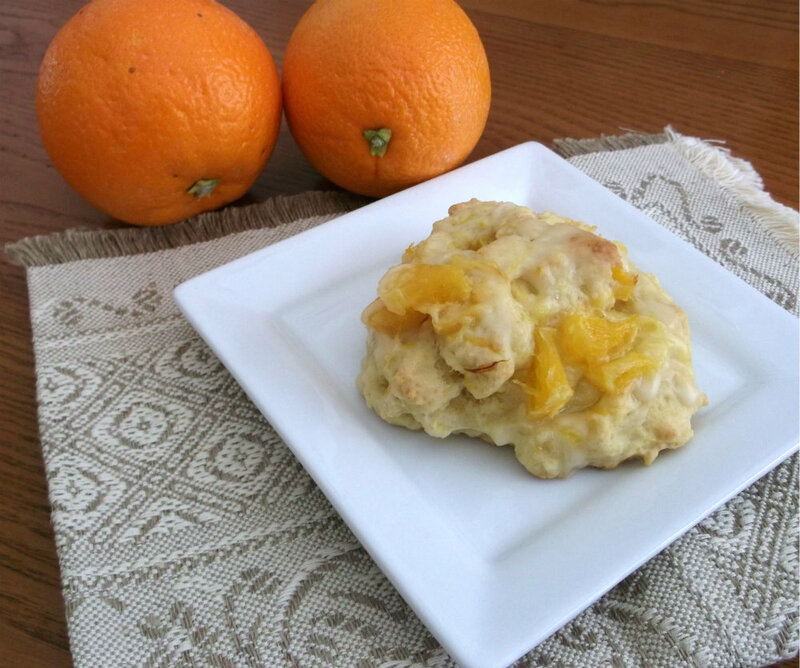 This scone recipe is inspired – I’ll bet the flavor is wonderful. Really nice – thanks. Baking is on my list of things to do today and I have never attemptd the scone! Hmmm 🙂 I will admit to taking far too long in the grocery store when preparing for any kind of bake off in my house ! We often eat at Panera Brad, but yet have to try the orange scones…I am glad that you got to make them…they look so good Dawn.